Elsewhere in Success begins with a little vignette: Harry and Louisa hear that a previous owner of their suburban house buried a lawnmower in the back garden, and Harry decides to dig it up. Louisa would rather he didn’t. It’s a bizarre and telling image. The notion of burying is richly suggestive of drama and mystery—buried bodies, buried secrets—and here the item being dug up is that terribly ordinary suburban artefact, the lawnmower. It’s a wonderful metaphor for the territory of this novel. For the idea that we can never tell what lies beneath the surface of ordinary lives, ordinary hopes and dreams, ordinary quotidian existence. And for the drama of the ordinary itself. Harry and Louisa are a baby-boomer couple who come together in middle life, both of them carrying the baggage of previous relationships. It is a surprising and hopeful merging of two lives, but the relationship is derailed in its infancy by the death of Louisa’s son, Tom, which leaves her struggling with grief and depression. Now, some years later, they are unsure of what they want and what the future holds for them. Lavell, a debut novelist and a psychologist, handles the darker themes of the novel well. I found it hard to read a couple of chilling scenes involving domestic violence and the debasement of women, and it is the mark of a fine writer that these episodes derive their power through restraint, through under-statement. ‘I love you,’ he’d say, while she cowered on the floor, humiliated, bleeding. The kids always seemed to be somewhere else, in their rooms asleep. She would try to be damaged quietly so she didn’t wake them up. Male violence circles this novel, threading through the lives of several characters and across generations in the form of abusive husbands and fathers, war, and casual cruelty. There is plenty of rough banter, accompanied by laughter, a common language of what it is that constitutes acceptable humour. It’s hard-hitting but never nasty. Life’s not easy but with loud enough laughter you can get through just about everything. 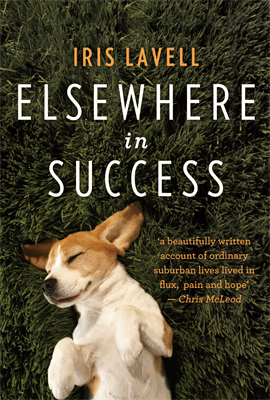 Elsewhere in Success is a gentle, compassionate, funny novel that takes us on a journey almost without leaving the house. It is a contemporary story underscored by the grief of loss and the grief of ageing. It reminds us that ‘ordinary’ does not mean ‘simple’—or perhaps just that there is no such thing as an ordinary life. 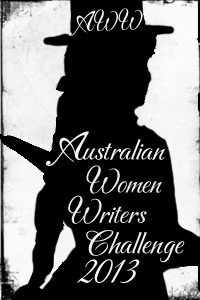 This review counts towards my total for the 2013 Australian Women Writers Challenge. I know, I know, I almost felt ashamed! Then I thought about all those lovely writers and publishers I HAVE to support, and also to make up for the books I secretly (and cheaply!) buy on Book Depository:-) I’ll check out the other review too, thanks Amanda. Don’t feel ashamed, Rashida! Never! It’s a fabulous thing to do 🙂 I’m looking forward to the day when I join the queue, waiting for you to sign my book.